It is recommended to combine seafood, seasonal salads and acid cheeses; it also blends well with dishes made from shellfish and crustaceans. Alcohol content: 12 ° / vol. 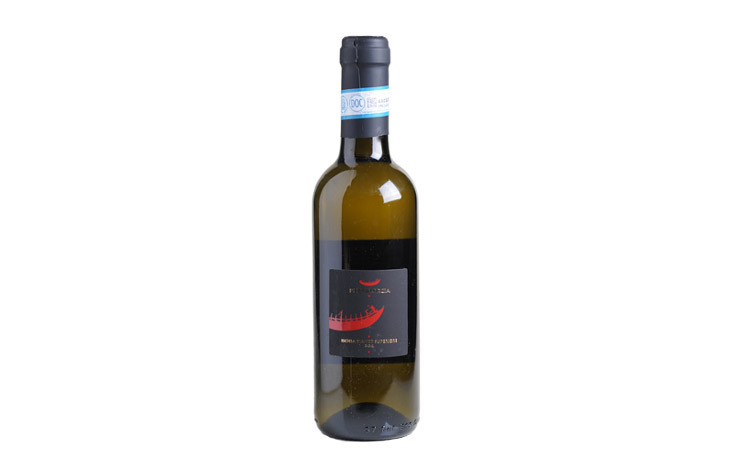 The grapes come from different areas of the island of Ischia by vineyards that enjoy ventilated and differentiated meso-climatic characteristics. Variety variability is represented exclusively by Biancolella, Forastera, Uva Rilla and San Leonardo. The maturation of the grapes proceeds slowly, keeping the yellow color until the harvest. In order to enhance the organoleptic characteristics of this production, which in many respects, apart from those inherent in local varieties, are comparable to those of fresh growing areas, the grapes undergo a typical white vinification without the use of chemical additives excluded from 'sulfur dioxide. The product obtained is slightly aromatic, finely fruity with balanced, savory, fairly bitter and fresh acidity. It is recommended to combine seafood, seasonal salads and acid cheeses; it also blends well with dishes made from shellfish and crustaceans.